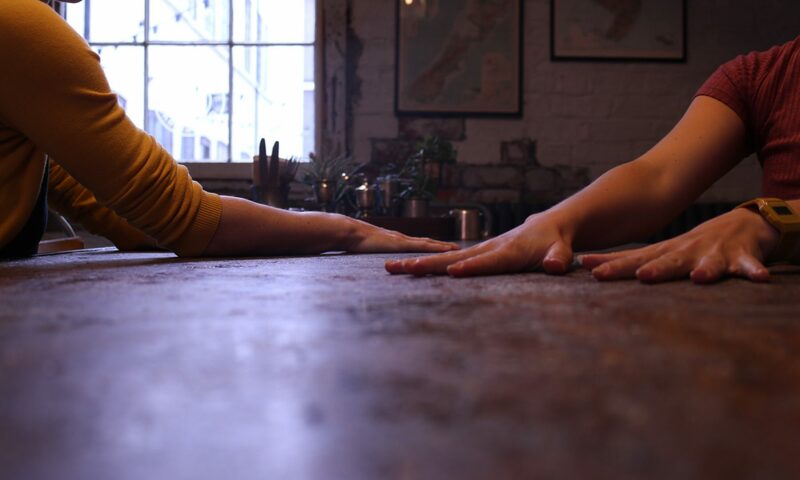 Top Me Up is a two woman show exploring the themes of celebration and the opportunity for reckless abandonment inherent in being a childless and comparatively carefree young adult. It is a response to various conversations regarding friends who are either pregnant, have children, or having more children. The piece was first performed at the Brighton Fringe Festival in 2013 before being selected by Drunken Chorus in 2015 for development support and mentoring by Nic Green as part of the Drunken Nights IV series. Top Me Up is a movement based collaboration between Lucy and Brighton based dance artist Chloe Bishop called Lascelles Dance. The duo began working together in 2013 and the work has emerged through a mutual interest in unconventional storytelling and a passion for work that is personal, slightly peculiar and charmingly uncensored.